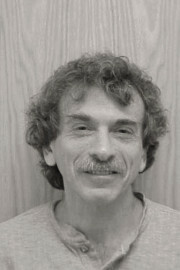 Dr. Lew Bank is an OSLC research scientist and a licensed psychologist. Dr. Bank has worked with children and families for more than 30 years, with a focus on parenting, sibling conflict, and child adjustment. In addition, he has developed parent management training curricula consistent with community values and goals combined with the best practices developed and tested at OSLC. Currently, Dr. Bank is collaborating with several Oregon counties to develop assessment and intervention capacity in those communities: The Healthy Family Project in Lincoln County and The Community Database Project in Tillamook County. Kramer, L., & Bank, L. (2005). Sibling relationship contributions to individual and family well-being: Introduction to the special issue. Journal of Family Psychology, 19, 483-485. Brotman, L. M., Dawson-McClure, S., Gouley, K. K., McGuire, K., Burraston, B., & Bank, L. (2005). Older siblings benefit from a family-based preventive intervention for preschoolers at risk for conduct problem. Journal of Family Psychology, 19, 581-591. Snyder, J., Bank, L., & Burraston, B. (2005). The consequences of antisocial behavior in older male siblings for younger brother and sisters. Journal of Family Psychology, 19, 643-653.